Our immersion services include Consultations, Residential Placement, Transitional Assistance and Social Community. All services are designed to prepare, transition and enrich your immersion experience for as long as you stay in Tijuana. What’s the SENTRI process like? Where’s the best neighborhoods to live? Is it safe? What’s the border wait like? How does finding a Spanish tutor work? How much do you pay in rent and living expenses? Do your neighbors speak English? You live in Tijuana!? Why? These are just some of the many questions I often hear when San Diegans learn I live in Tijuana. Whether you’re simply entertaining the idea of making the move to Tijuana or know you’re ready to go for it, consultation sessions will prepare you. At the consultation, I’m available to answer any of your questions/concerns as we approach together what it would look like for you to make the move. Since each persons’ needs and interests are as unique as they are (living arrangement/neighborhood preference, cross-border work commitments, language/cultural experience, etc) these personal consultations are essential. Roommates, with-family, or solo living? Studio, single, or multiple bedroom? Garage, washer/dryer, pets needed? Close to border, downtown, public transit, or shopping preferences? All these are worthy considerations when looking for a place. Knowing the answers to these questions and more will help us set you up for the best immersion experience possible. Residential Placement gets you into the house/apartment that most-closely matches your personal preferences. First step is to fill out this simple housing preference form. *Housing availability is based upon most current listings and may vary from week-to-week. So, you’ve made the move and are now here in Tijuana! Felicidades! But now what? A brand-new city in a foreign country with a different language. Could sound scary. You’ll probably have a question or two (or a hundred) and would feel at ease asking someone knowledgeable who knows your situation and speaks your language. That’s where transitional assistance steps in. Transitional Assistance gives you access to connect with Tijuana Immersion Living through email and phone to receive answers to the questions you encounter during the initial transition. *Transitional Assistance is strongly encouraged for, at least, your first two months of living in Tijuana. Continued need of this service will vary based on your level of language acquisition and adaptability to the new culture. If you’ve utilized any services from Tijuana Immersion Living to get you here to Tijuana, you’re considered a part our community of cross-border adventurers! 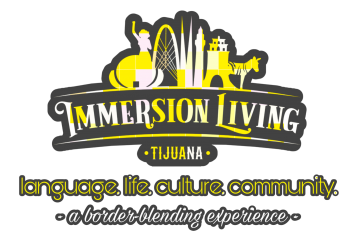 Tijuana Immersion Living wants to connect those foreigners here to learn the Spanish language and experience the Mexican culture through connections with the people of Tijuana. As a result, you’re invited to partake in any of our get-together’s and group outings (prices vary per event).